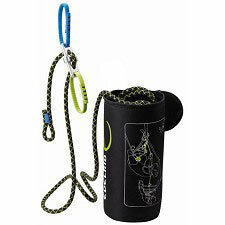 Energy absorber by Camp for vias ferratas, this is an essential element to be able to practise this type of activity safely. 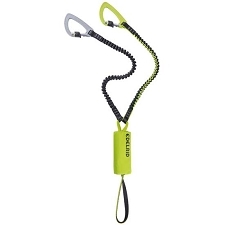 The Kinetic allows us to always be anchored thanks to 2 Nomad carabiners with automatic sliding locks. 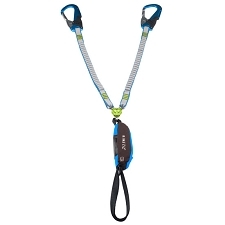 It has two 105 cm lanyards made from 20 mm polyester webbing. 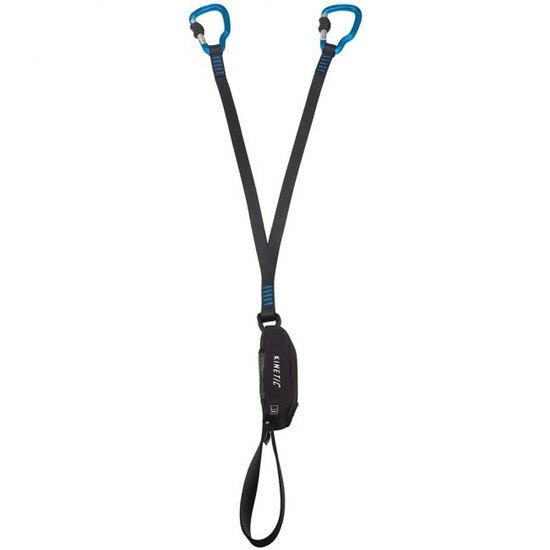 Durable webbing twist ring keeps the lanyards in their proper orientation connected to the progressive tear energy absorber. 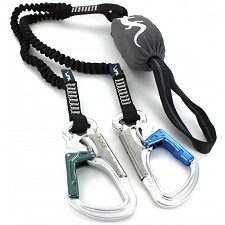 The energy absorber is fundamental for doing a via Ferrata, reducing the impact factor of a fall substantially, avoiding serious injury and keeping us anchored to the via. 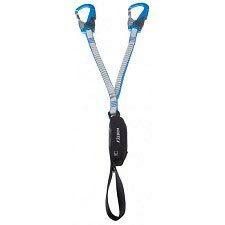 For use in via ferratas. 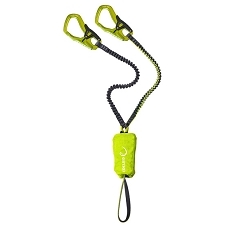 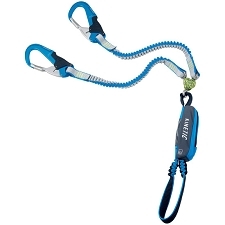 Automatic sliding lock Nomad carabiners. 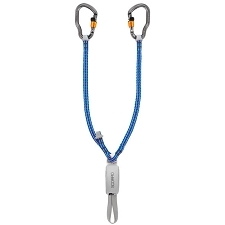 Carabiners have 26 mm gate aperture. 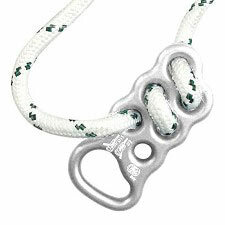 20 mm polyester webbing lanyards. 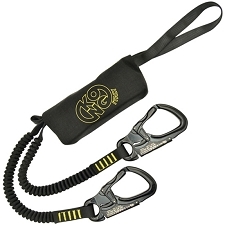 Durable webbing twist ring keeps the lanyards in their proper orientation. 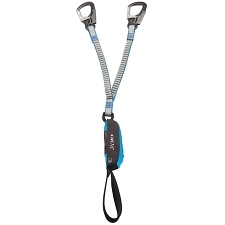 In compliance with safety requirements fixed by the new review of the EN 958 standard and available for sale when the updated norm goes into effect (currently scheduled for early 2017).